FOR LARGE ORDERS PLEASE CALL DIRECT. 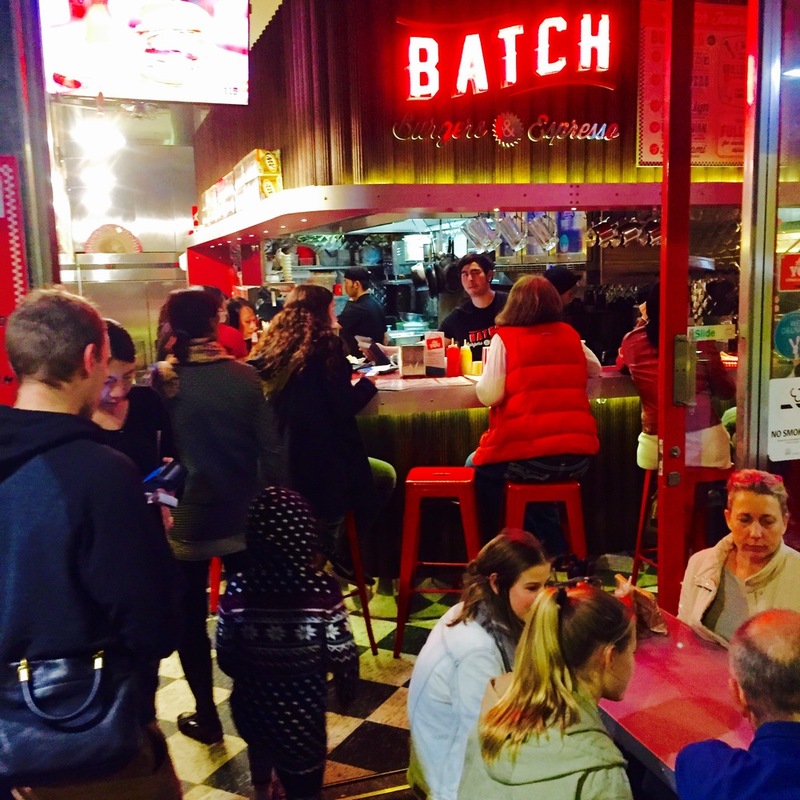 Located in Kirribilli, in the shadow of the Sydney Harbour Bridge, Batch Burgers offers an authentic American diner experience by serving up a sumptuous range of gourmet burgers, dogs and shakes. 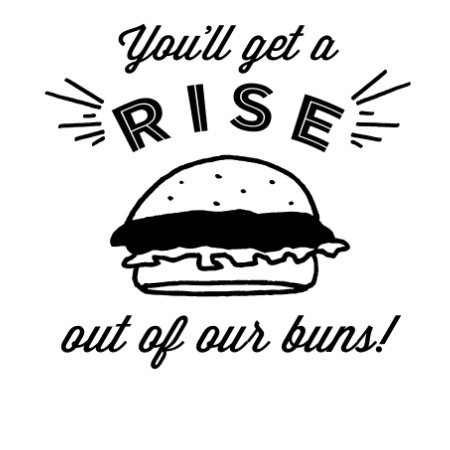 Established in 2013, Batch burger has been serving the best quality gourmet burgers, hotdogs and authentic American snacks ever since. 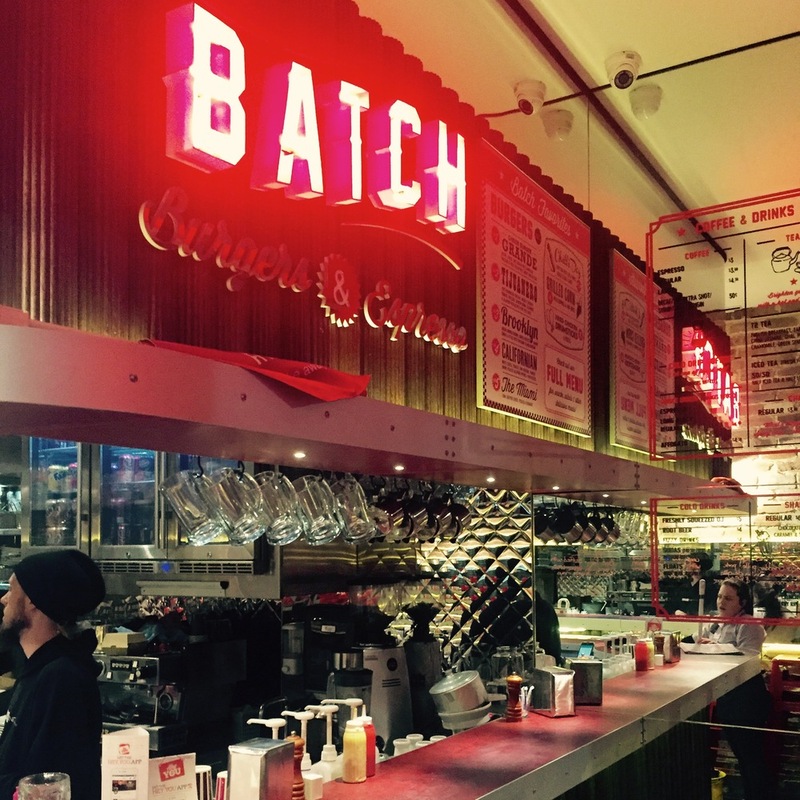 With its modern American diner decor and friendly staff, its a great place to catch up with friends and family. Or you can grab some takeaway and head to the Harbour for some of the best views in the city. 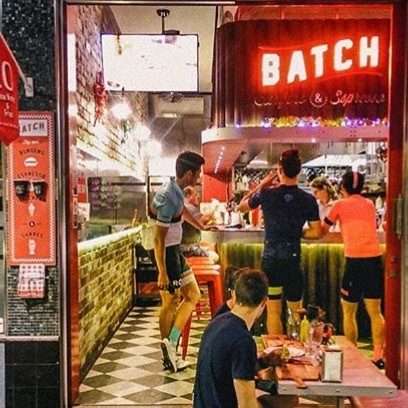 A minute's walk from Milson's Point Station, Luna Park or the Harbour Bridge pathway, Batch offers you a delicious option for breakfast, lunch or dinner. We're not just about the Burger's either. Enjoy prime Australian beef steaks, southern style fried chicken, nachos, burritos, mac'n'cheese, hearty salads, waffles, pancakes and more - it's all apart of the Batch experience. 100% Aussie beef patty with hickory sauce, cheese, tomato, lettuce with root beer caramelised onion. Jam packed with flavour! 100% Aussie beef patty with white cheese, tomato, lime avocado, Spanish onion, pickled jalapeno peppers & watercress. A humdinger of a burger! 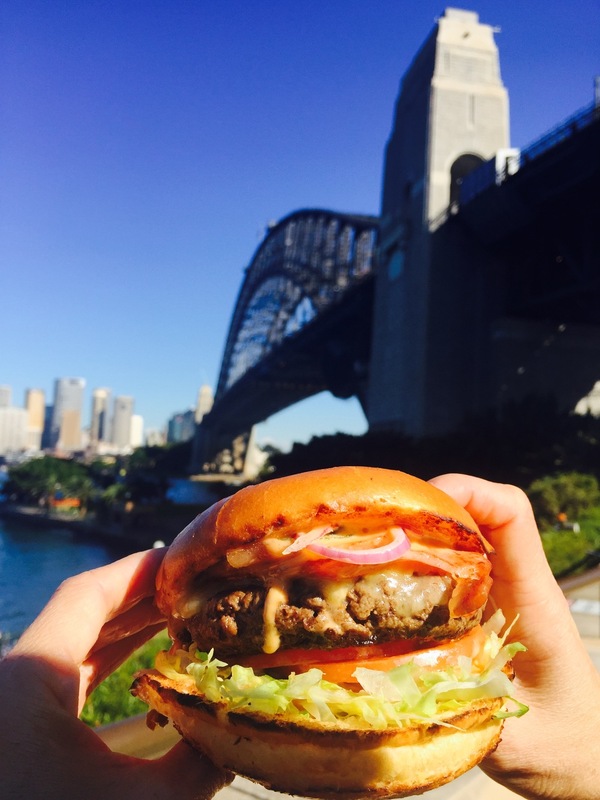 100% Aussie beef patty with bacon, smoked cheedar, tomato, pickles, Spanish onion & lettuce with thousand island dressing. This will really send you! 100% Aussie beef patty with sumptuous truffle mayo, bacon, melted white cheese, tomato lettuce, pickles, and onion rings! 100% Aussie beef patty with chilli mince, smoked cheddar, tomato, avocado, Spanish onion, jalapenos & sour cream with hot taco sauce. Smokin’! Marinated succulent chicken with avocado, cheese, lettuce & mayo. Don’t have a cow – try chicken! Deep fried spicy chicken, lettuce, tomato, onion, avocado, bacon, cheese and delicious chipotle mayo. HUGE! Replace the meat in any burger for our house made pumpkin, sweet potato and corn patty. PRICE AS PER BURGER SHOWN. HAVE YOU SEEN OUR AMAZING FRIES SELECTION? Filled with a delicious 5 bean mix, corn, carrots, lettuce tomato, onion, herb mayo, cheese, guacamole and sour cream. Beef dog with mustard and tomato sauce. Beef dog with mustard and bbq sauce. Beef dog with root beer caramelised onion, hickory sauce, smoked cheese. Its big, it's delicious and it could be yours. Beef dog with American cheese, pickles, onions and ranch sauce. Covered in pulled pork, crispy bacon and our delicious cheese sauce - SO GOOD! Choose beef chilli or mix vege bean with guacamole, sour cream, salsa and jalapenos. Sssspicy! Our famous 5 cheese recipe, yum. Corn with paprika and lime mayo. Enjoy fresh shucked flavour in every mouthful! Juicy marinated chicken tenderloins with a crispy coating, served with fries. Do you like your Shake regular or extra yummy thick? BOOST IT WITH A CAMPOS COFFEE SHOT !!! THE NUTTER CHOCOLATE THICKSHAKE, BLENDED WITH REEES'S PEANUT BUTTER CUP, TOPPED WITH WHIPPED CREAM. YAAAS! 50/50 Half iced tea & half lemonade - SO REFRESHING!